This recipe is 2 Freestyle points per serving, 1 cup. 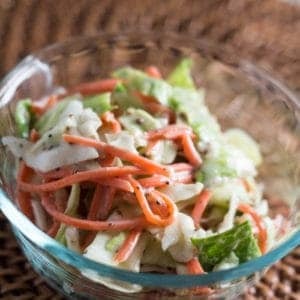 Combine all the ingredients except the cabbage and carrots in a medium bowl. Add in the cabbage and carrots. Mix to combine. Season with more salt and pepper, if necessary.